Dec. 14, 2011, 8 a.m. The site is less a companion to TV programming than a freestanding outlet, connected to the news operation rather than any one show. By Justin Ellis @JustinNXT Dec. 14, 2011, 8 a.m.
NBC News keeps its political reporting in lots of different places. There’s Chuck Todd on Twitter, in the evening with Brian Williams and the Nightly News Crew, online at MSNBC’s First Read, or your Sunday morning coffee date with David Gregory on Meet the Press. That diffusion is part of why today they’re launching NBCPolitics.com, a site that brings all of that news under one digital roof. 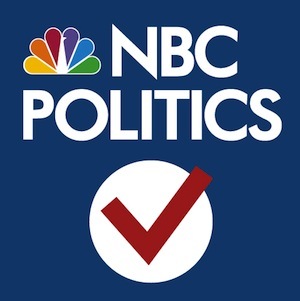 NBCPolitics.com will be something of an NBC News aggregator, pulling together the work of on-air reporters like Kelly O’Donnell and Andrea Mitchell, as well as the mostly off-air types like the embedded reporters checking in from the campaign trail. They plan on offering video, directly from their family of shows as well as reports and interviews exclusive to the web. But the site will also see a new collection of social news, maps, and a one-of-a-kind candidate tracker via Foursquare. It’s really a reflection of looking at the web as the web, as opposed to looking at the web as an extension of television only. If you like news with a side of features and celebrity interviews, here’s The Today Show. If you want inside politics with lawmakers, analysts and reporters debating each other, there’s Hardball. Looking for an overview of domestic and international news? Try NBCNightlyNews.com. Each site serves a purpose and reaches a specific audience, but function largely as a companion to what’s on TV. “If someone is a political junkie, we don’t want them to necessarily have to think about what is the television show that I’m looking for,” she said. “We want them to have the full power of all the resources of NBC News available to them on politics in a way that is easy for them to find and easy for them to digest.” Schiller said they saw a need to step outside of the normal TV model and create something “webbier,” in her words. “It’s really a reflection of looking at the web as the web, as opposed to looking at the web as an extension of television only,” she said. It’s been close to six months since Schiller joined NBC after parting ways with NPR, and she’s been busy at the Peacock Network, most recently beefing up her social media and engagement team. The development of NBC Politics marks her biggest project yet, and in many ways echoes some of her work at NPR, like investing in research, new technology, and a news platform separate from your primary channel. But NBC Politics won’t move too far away from the bread and butter of broadcast. Schiller says there will be plenty of video, from reports from the road to interviews from TV programming. Video is what the audience expects from NBC News, she said. According to comScore the MSNBC Digital Network (which includes MSNBC.com, Today.com, NBCNightlyNews.com and more), saw more than 161 million video streams in October, putting it ahead of CNN and The Huffington Post for news videos. “Of course we’re competing with other news organizations around politics, but the strength that we have really above all others is the fact that we have video,” she said. That strategy seems to be the backbone of NBCPolitics.com, which Schiller ultimately believes can serve audiences across different platforms, as well as news preferences. If you’re a fan of Chuck Todd, there’s something for you on the site, and if you’re someone looking to stay current on the big themes in the news of the day, you’ll be covered there too. What they’re shooting for is NBCPolitics becoming a kind of audience multiplier for NBC News, a site that can draw in the preexisting audience loyal to shows and personalities, as well as the crowd looking for general election news and the political operatives. “Our goal is to be the number one most valuable source for politics on the web, period. 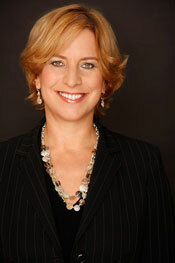 Not just among television news organizations, but among all news organizations, for Election 2012,” Schiller said. POSTED Dec. 14, 2011, 8 a.m.
Ellis, Justin. "A web-first politics site for NBC News: Vivian Schiller on the launch of NBCPolitics.com." Nieman Journalism Lab. Nieman Foundation for Journalism at Harvard, 14 Dec. 2011. Web. 19 Apr. 2019. Ellis, Justin. "A web-first politics site for NBC News: Vivian Schiller on the launch of NBCPolitics.com." Nieman Journalism Lab. Last modified December 14, 2011. Accessed April 19, 2019. https://www.niemanlab.org/2011/12/a-web-first-politics-site-for-nbc-news-vivian-schiller-on-the-launch-of-nbcpolitics-com/.